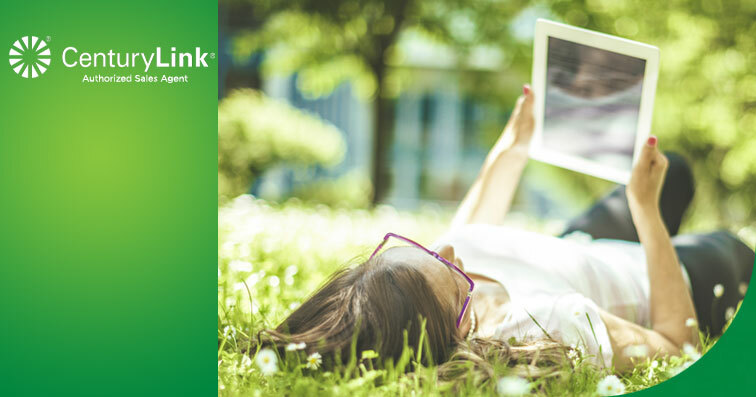 CenturyLink offers premium internet services at affordable prices. Call us today to find out what’s available in your area! *Depending on services you select, these CenturyLink surcharges apply: Internet/Broadband Cost Recovery Fee; Local Broadcast Surcharge; Sports Network Surcharge; Non-Telecom Services Surcharge; and additional surcharges. These are neither taxes nor required by law, but set by CenturyLink and may change. Additional taxes and fees will apply and appear on your monthly bill. For information about taxes, fees and surcharges, visit www.centurylink.com/feesandtaxes; rates subject to change. Service is not available everywhere. Limited time offer. CenturyLink Internet Basics Program is available to Oregon, Tennessee, or Washington State residential customers only who qualify based on meeting income level eligibility requirements, and/or are receiving benefits from a qualifying federal assistance program, and requires remaining eligible for the entire offer period. Qualifying customers may keep the service under the program for a maximum of 60 months. After 12 months, monthly rate increases to $14.95/mo. for 48 months. Standard monthly rates will apply after 60 months. If selected, a professional installation fee of up to $125 will apply; self installation is available at no charge. CenturyLink High Speed Internet service requires the use of a compatible modem or router. Customer may supply a compatible modem or lease a modem from CenturyLink ($10/mo. lease charge will be waived for the first 12 months of service; rate will apply starting in 13th month) or purchase a modem from CenturyLink (one-time fee of up to $150). Shipping and handling fees apply to purchased modems, but do not apply to leased modems. In all instances, a one-time High-Speed Internet activation fee applies. Depending on your location, promotional discounts may not apply to first partial month of service. Rate excludes taxes, fees and surcharges which are based on standard, not promotional, rate. If customer cancels one of the required bundled services during promotion, all promotional rates are void. Credit approval and deposit may be required. An early termination fee (up to $200 max. based on remaining number of months of service) will apply if service is cancelled before end of term. Changes to customer’s HSI service initiated by customer during the promotional period may void offer discount. Offer not available on certain other discounted service plans. Limit one offer per household. Additional restrictions may apply. CenturyLink may change, cancel, or substitute offers and services, or vary them by service area, at its sole discretion without notice. All products and services listed are governed by tariffs, terms of service, or terms and conditions posted at centurylink.com/terms. HSI: Customers must accept HSI Subscriber Agreement prior to using service. Listed internet speeds vary due to conditions outside of network control, including customer location, equipment, and access through a wireless connection, and are not guaranteed. See www.centurylink.com/internetpolicy for additional network performance information.